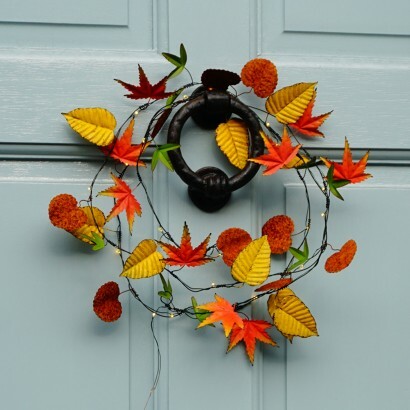 Beautifully warm autumnal shades of red, orange, brown and green bring the metallic leaves on this hand crafted light string to life to make a stunning feature. 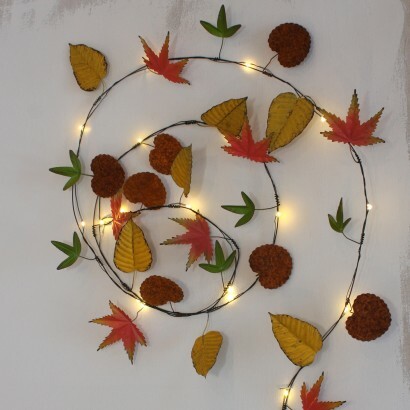 Lit by warm white LEDs along the length of the poseable wire, these beautifully rustic fairy lights are suitable for use indoors or outdoors bringing the striking beauty of autumn colours to your living space. 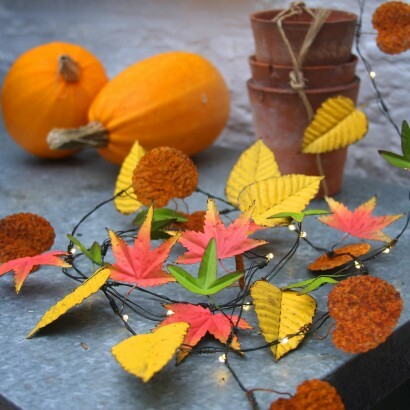 Battery operated and set on poseable wire so that they hold shape, these decorative fairy lights have a timer function set to six hours on and fourteen hours off so that they switch on a the same time every day for enchanting feature lighting.